1. J has been sleeping with Mickey Mouse since we brought it back from Disney World. 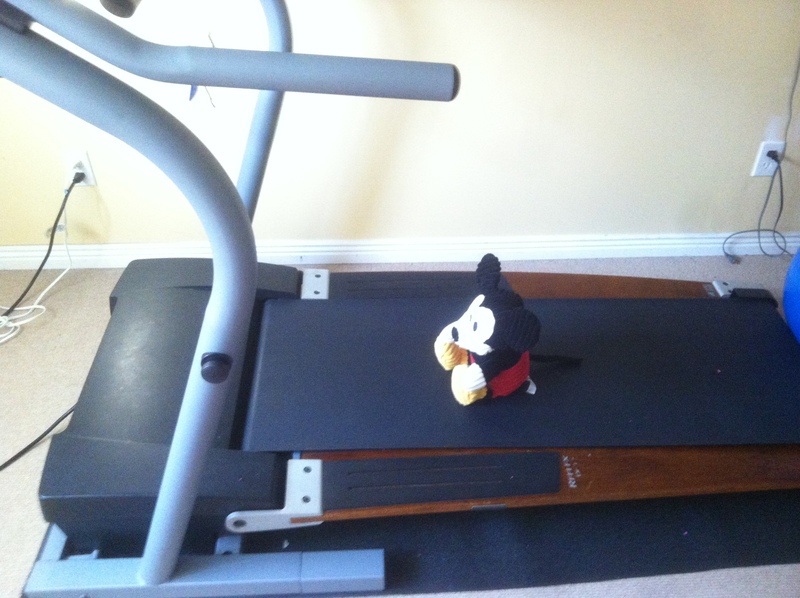 The other day I was picking up the house and went into the gym and found Mickey going for a run. 2. The night before Josh’s sprint triathlon he was laying all his stuff out. 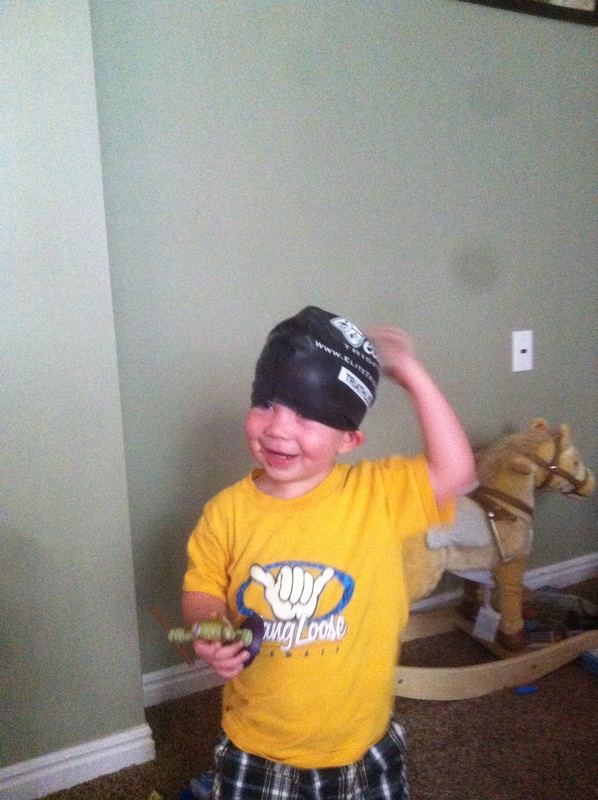 J found his swimming cap and wanted to try it out, too funny! I hope you are all having a great start to your weekend! how do you fuel the night before for a long run? This entry was posted in Uncategorized and tagged Friday Funnies. Bookmark the permalink. lol love mickey on the treadmill! i am glad little j is concerned for mickey’s fitness routine. 😉 i’ve never been tubing and want to go so badly! 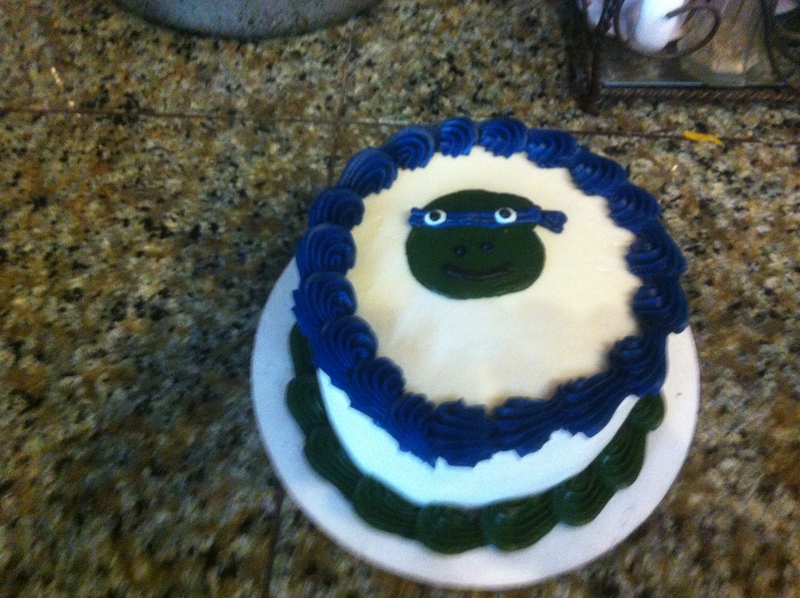 That cake is awesome….I use to love ninja turtles. I was thinking about you after hearing about the fires in Utah. I hope you and your loved ones are not near the area being impacted. Tubing is SO fun and an incredible arm workout! Have fun! YAY for tubing! So much fun! I miss that adventure so much – I used to tube all the time! Now, not so much, sadness!